The first Bamboo Cooking Competition wrapped up today after a competitive cook-off among the eight finalist. 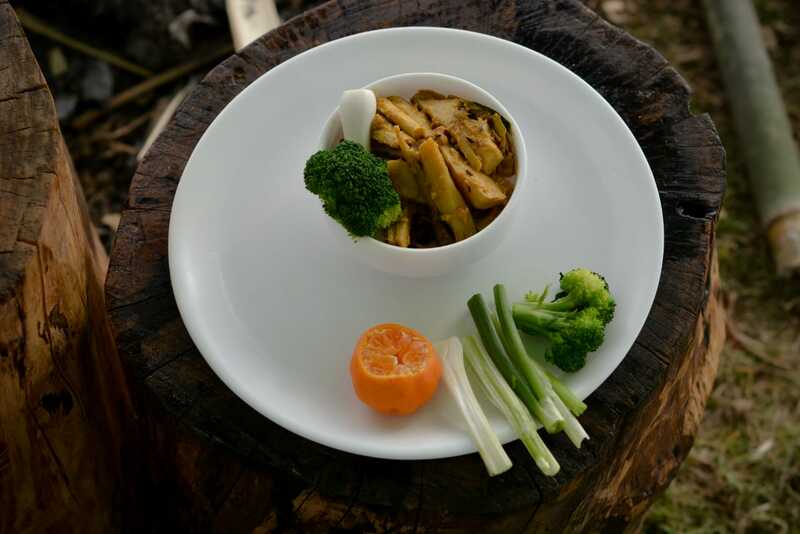 Each contestant was given the task to cook any vegetarian dish with bamboo as its main ingredient, and present it with an aesthetic touch. and Dr. Loitongbam Nelson from Lalambung bagged the winning title of the competition. The cash prize of 25000, 15000 and 10000 INR for 1st, 2nd and 3rd place winners along with certificate will be handed over at the closing ceremony of the World Bamboo Workshop on 8 February at the City Convention Centre. All contestants who participated also received gifts and certificate of participation. 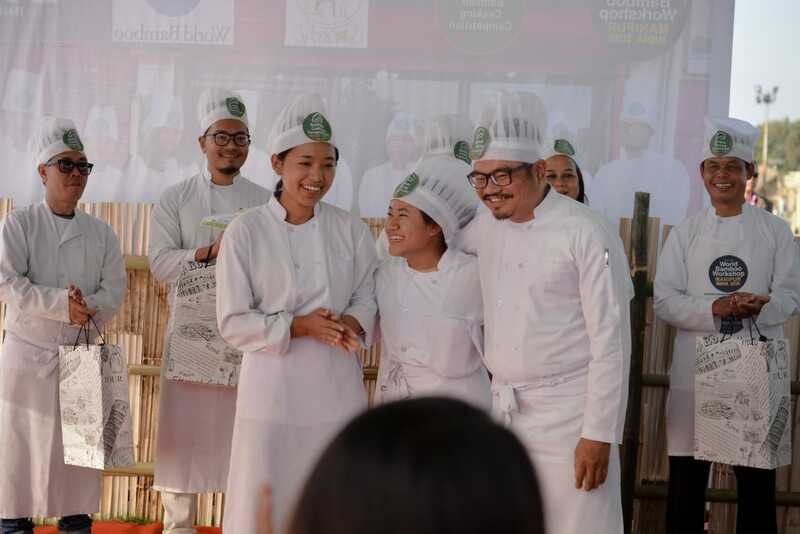 The Bamboo Cooking Competition was organised by the Exotic School of Cooking, in collaboration with POPA Restaurant as part of the World Bamboo Workshop 2019 in Hapta Kangjeibung. A panel of expert judges from the industry were empanelled to judge the competition based on the performance of the participants for each day. Our judges include – Chef Tony Karam, Pastry Chef Chingyo Singlai and Ms Alemjungla Jamir. 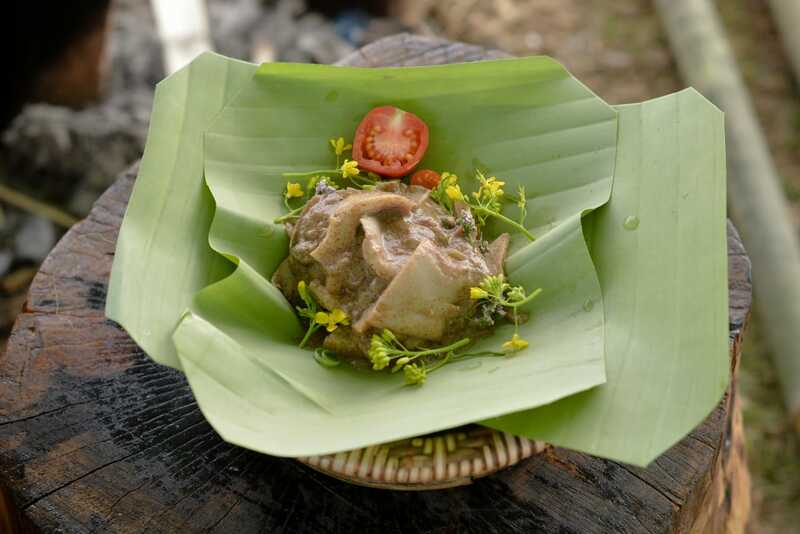 Some of the bamboo (vegetarian) dishes prepared by the contestants on the final day include – “Laiwa Thambhou Thongba”, “Soibum-veggies stew with perilla sauce”, “Mairen soibum kanghou”, “Soibum-sana thongba”, “Mangal-usoi ooti” etc. All delegates and visitors of the World Bamboo Workshop 2019 were given liberty to check out the variety of bamboo food products on display at the pantry, the typical indigenous kitchen set up, and witness the different approach of cooking bamboo cuisines both indigenous and continental style.